For 60 years, George Smith was the one and only Santa that most families in Jackson, Tennessee ever knew. 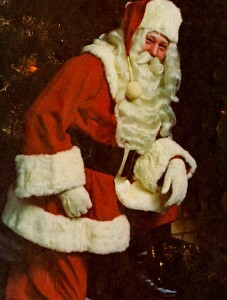 Smith’s reign as Santa Claus began with family, then spread to friends, then on to include every club, church, school and nursing home in town. He appeared annually in the Jackson Christmas Parade for over a decade and made sure that every child got that special wave from Santa. Smith was also an outstanding citizen who was involved in many Santa like services to others far beyond his role during the Christmas Season. He served as Jackson’s Mayor for 16 years and was involved with numerous organizations such as the Salvation Army, United Fund, Red Cross and the Boy Scouts of America. Smith was selected as Jackson’s Man of the Year in 1974. Whether he was in his red suit or in a business suit, George Smith freely gave of himself to his community just as a true Santa does.